Help us build a Future Fund! You did it! Click here to read how you helped us hit our £50,000 target! What would Snowdonia look like now without 50 years of Snowdonia Society volunteers and members giving their time and their money to look after and protect these special peaks, valleys and vistas that you love? Stone walls replaced with barbed wire? Woodlands smothered by rhododendron? Mountains footpaths unmanaged and eroding away? Rivers choked with litter? Thanks to your and our efforts – including more than 10,000 volunteer hours since 2015 – Snowdonia has escaped the worst of these outcomes. If we could only say, “Hurray! Snowdonia’s wildness and beauty are safe. They are loved and cared for by all who live, visit or work here.” But 50 years on and Snowdonia needs our work and your help more than ever. We led the campaign against the threat to the iconic Conwy Falls and Fairy Glen and by working with our partners we saw off the destructive development plans. However, in stopping the depletion of this special waterfall and gorge we seriously depleted our own resources. The Conwy Falls campaign cost the Society over £12,000. Welsh Government published its dreadful ‘Future Landscapes’ report in May 2017. We led the response from concerned people like you who wrote to their Assembly Members. 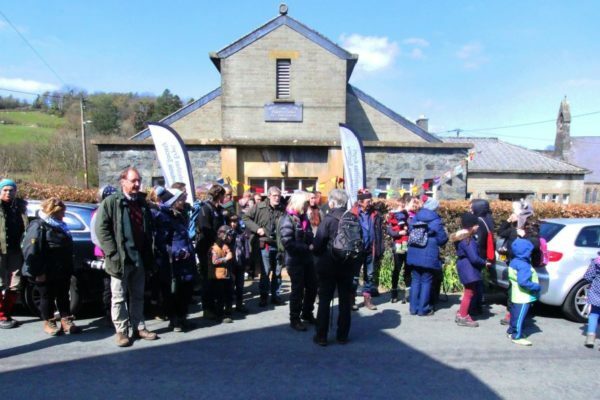 The campaign culminated in the Assembly debate on 6th June, where the Snowdonia Society was quoted and Assembly Members stood up for National Parks and conservation. With government funding for National Parks repeatedly being cut, our practical and camapigns work are needed more than ever across Snowdonia. We can’t anticipate what challenges and opportunities might arise in the next 50 years. The impact of climate change and increasing demand to exploit Wales’ natural resources? The gradual growth of Snowdonia as a theme park for adrenalin attractions, and a younger generation increasingly disconnected from the natural world? New biological threats to our native plants and animals? To mark our 50th anniversary and make sure we are fit for the future 50 years, we launched our Future Fund to allow us to respond quickly and confidently to new threats and opportunities in Snowdonia. Our target is £50,000, with donations coming from various sources. 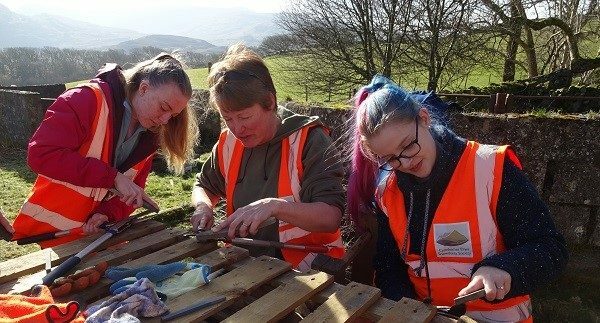 A donation of £250 would pay for us to do the basic research and write a response to a simple planning application; £100 will cover the cost of a mountain leader to provide safety cover when our volunteers work in the mountains; £28 would pay for a volunteer to be accredited under our Practical Conservation Skills unit. Let’s do more and do it better. Let’s equip and recognise our volunteers. Let’s build on the campaigning experience we’ve amassed, and keep you better informed of the actions we are taking. And let’s make sure that, 50 years from now, Snowdonia is better loved, better valued and better enjoyed by all. and help us get fit for the future!